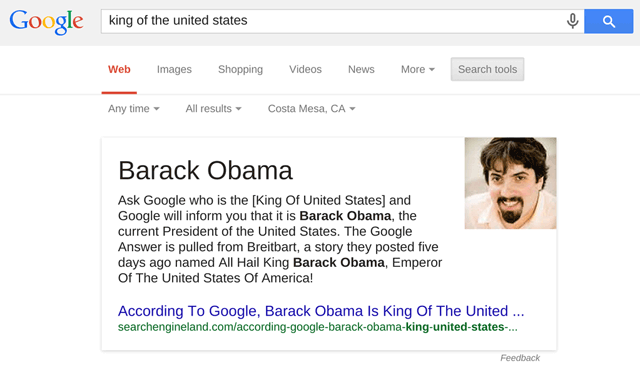 Via Hacker News, yesterday, the search results quick direct answer from Google for [King Of United States] returned a Google Answer saying it was Barack Obama. 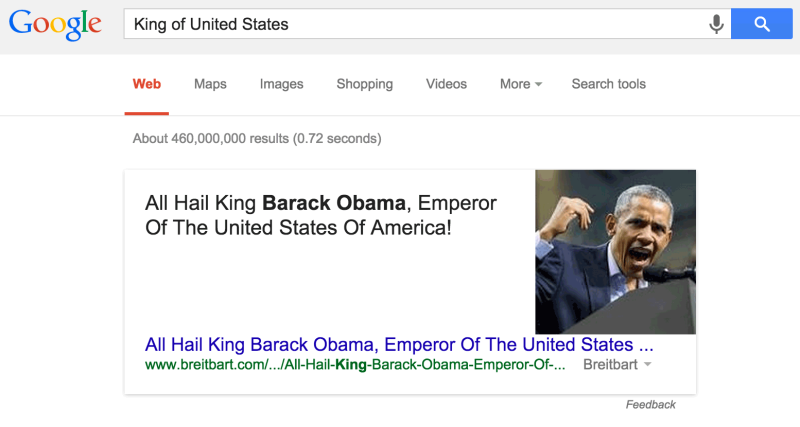 Shortly after I covered the news at Search Engine Land, that article I wrote was put in place of the one cited above. So now my article said Obama was the King of the United States. However, instead of showing a picture of Barack Obama, it showed my picture. Anyway, this just shows the potential failure with Google Answers. Forum discussion at Hacker News and Google+ and Twitter.